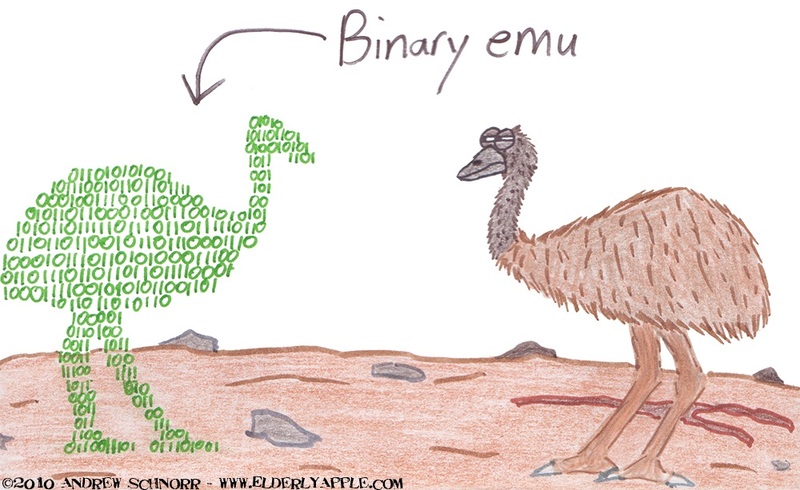 Also, I have to say that I think emus (and, by extension, ostriches) probably provide more credence for the dinosaurs-evolving-into-birds theory than any fancy-pants DNA evidence. I mean, look at their skeleton! If that doesn't scream "dinosaur!" (in a hushed natural history museum voice), I don't know what does. I think I can see that emu thinking, "I should've taken the blue pill."